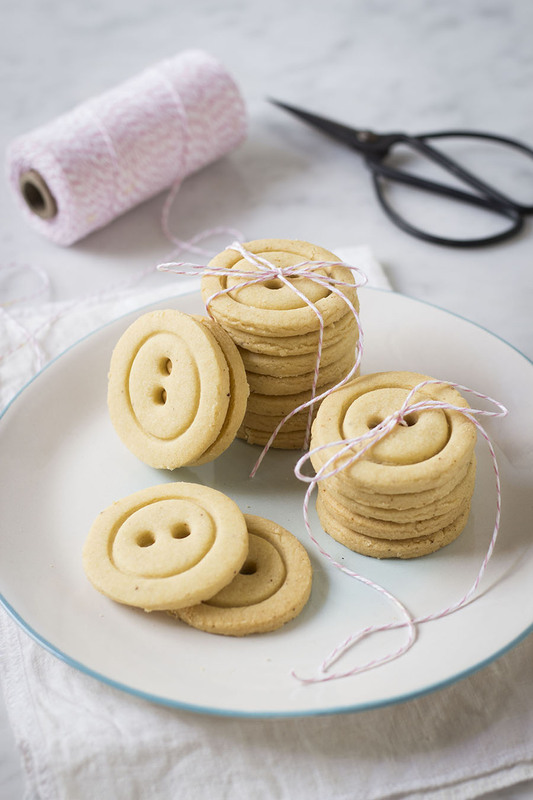 These shortbread cookies are everything a biscuit should be; buttery, crumbly and melt-in-the-mouth which is why they are my go-to biscuit recipe for everything! 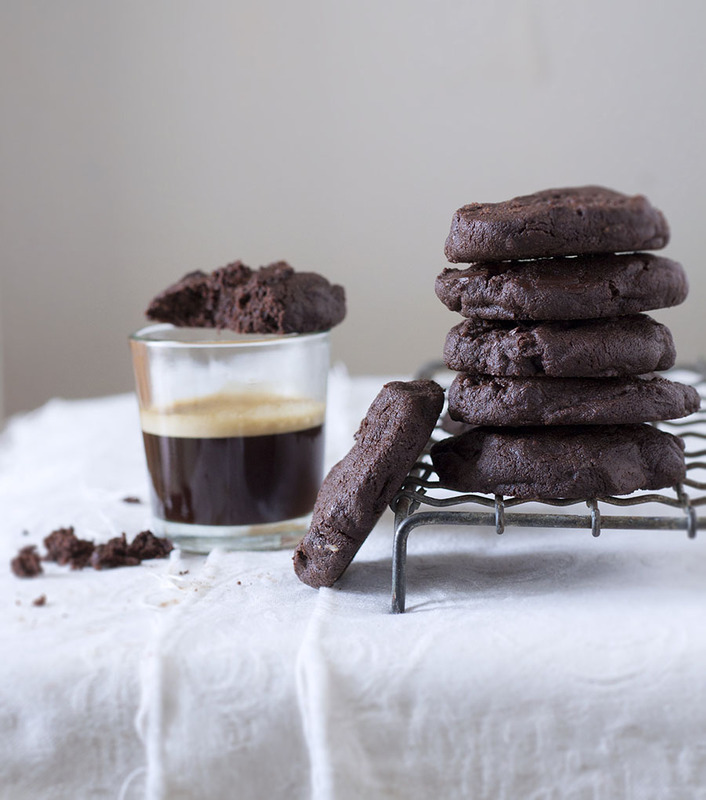 I have been making these since I was about 10 years old – I cut out the recipe from an old Essentials magazine and stuck it in my recipe scrapbook and it’s been made into literally every kind of shape possible – mainly because I have, probably, the biggest cookie cutter collection in the world! Seriously though, name a cookie cutter, and I have it. Unicorn – yup. Music note, you bet. Casette tape – yes. 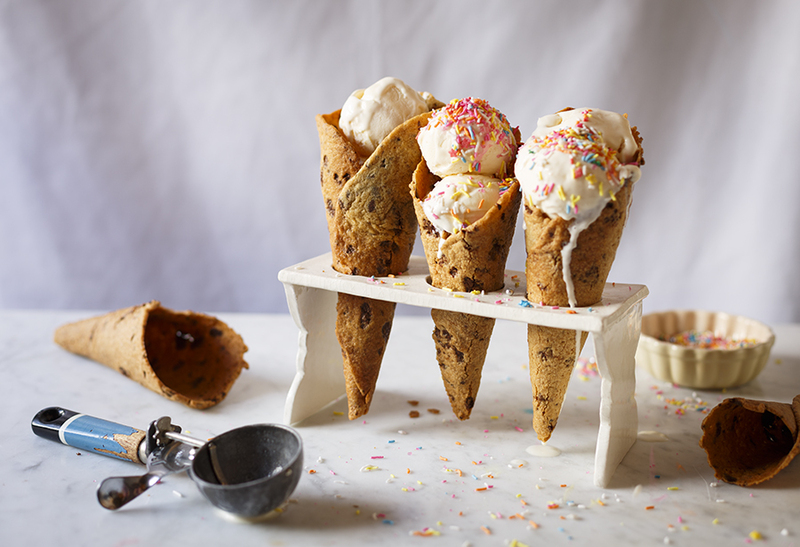 Ice cream cone – check. Rugby ball – no… just kidding, of course I have it! Eiffel tower – duh! Told you so. 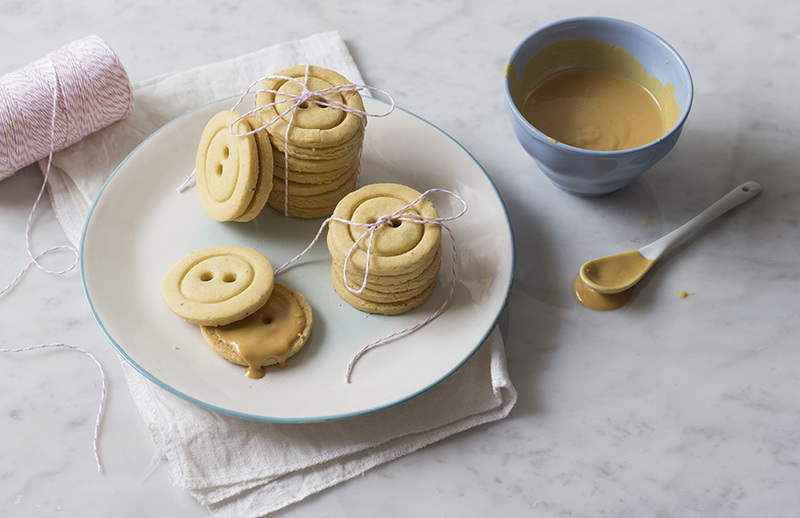 Honestly though, I don’t have a button cookie cutter, but luckily you don’t need one to make these – they’re super easy to make and even more adorable, especially when tied together as a gift – a gift for your mouth, that is! Preheat the oven to 180˚C. Grease and line two standard baking sheets. Cream the butter in a stand mixer with the sugar until light and fluffy. Add the corn starch, baking powder, cake flour and almond extract to form a soft dough – add a little more flour if necessary. Cover and refrigerate the dough for 30 minutes. 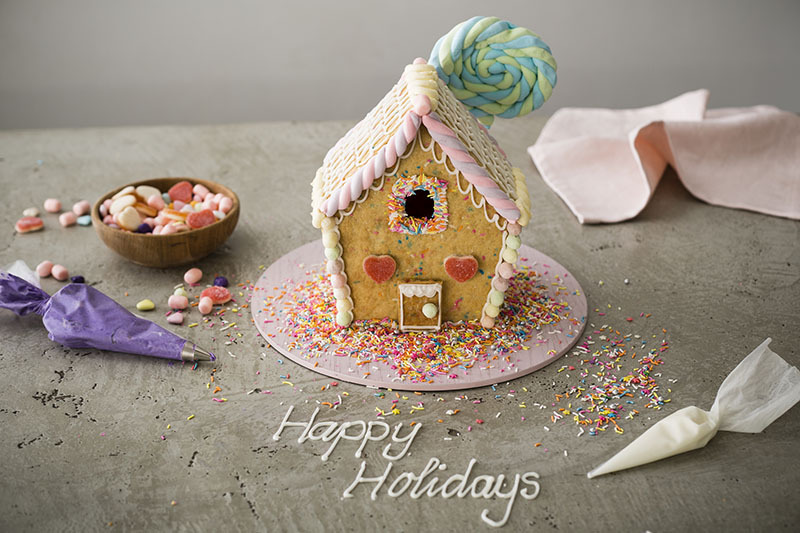 Roll out to ½ cm thick and cut out 5cm circles using a cookie cutter. Using a plain tip icing nozzle or wooden skewer, make two holes in the ‘buttons’ then place on the prepared baking sheets. Refrigerate for another 30 minutes before baking in the preheated oven for 10-15 minutes until golden. Allow to cool thoroughly. Sandwich the cookies together with caramelised white chocolate, if desired. Hi, where do you get this natural golden castor sugar?